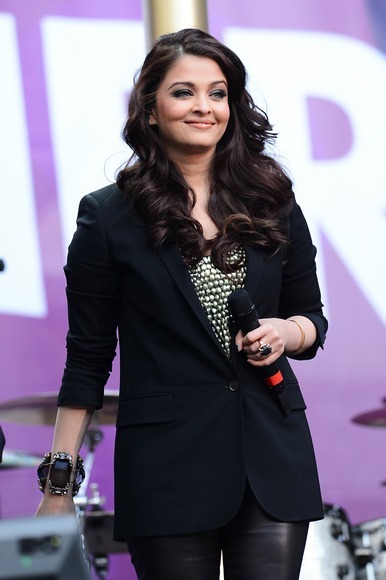 After a dazzling turn at the recently concluded 66th Cannes Film Festival in the exotic French town, Aishwarya Rai Bachchan headed to London for a concert in support of the Chime For Change campaign. Headlined by Beyonce, co-founder of the campaign alongside actress Salma Hayek-Pinault and Gucci executive director Frida Giannini, the concert was held at Twickenham Stadium over the weekend. Please click NEXT to see more star arrivals. Dressed in leather pants and boots which she paired with a fitting jacket and a studded top, the actress was accompanied by actor-husband Abhishek Bachchan to the concert. 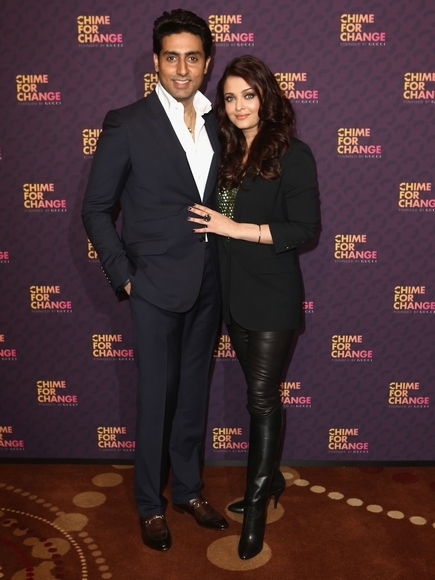 Parents to a year-and-a-half-old Aaradhya Bachchan, the star couple lent support to the campaign that aims to empower girls and women around the world. Dressed in her signature costume that accentuates her curves, Jennifer Lopez was one of the star performers of the night. Lopez also performed the Beatles' Come Together with singer Mary J Blige. Beyonce, dressed in similar yet relatively subdued outfit, performed several of her hit singles including Single Ladies, Crazy In Love and Halo. 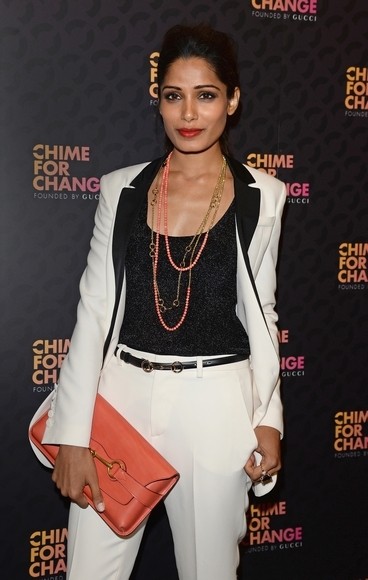 Like many other star attendees, Freida Pinto chose Gucci for the occasion and looked glamorous in her classy suit. She paired the outfit with a bright coral clutch and a multi-strand neckpiece. Madonna, one of the presenters of the night, was more conservatively dressed in an all-black ensemble and a pair of lacy gloves. British singer-songwriter Rita Ora looked sets the stage on fire in a pair of sequinned pants and a cropped tank top. Gossip Girl star Blake Lively, dressed in a sensational Gucci number and colourful jewellery, was accompanied by husband Ryan Reynolds. 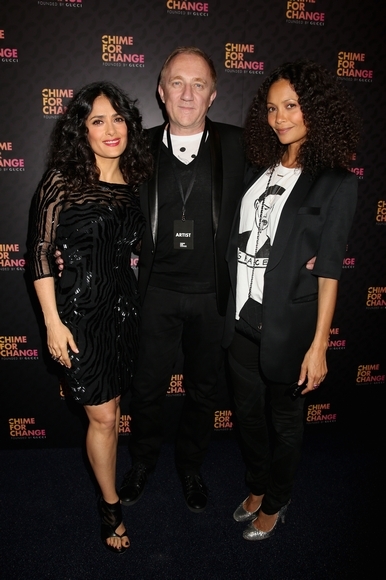 Co-founder Salma Hayek poses with husband billionaire husband Francios Henri Pinaut and actress Thandie Newton. Zero Dark Thirty actress Jessica Chastain gets ready for her presenter duties. Actress Jada Pinkett-Smith poses upon arrival. Hollywood's Five Highest Grossing Films OF ALL TIME!